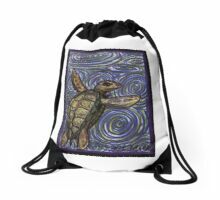 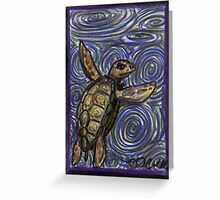 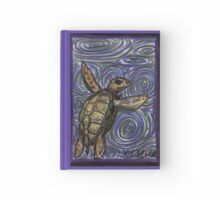 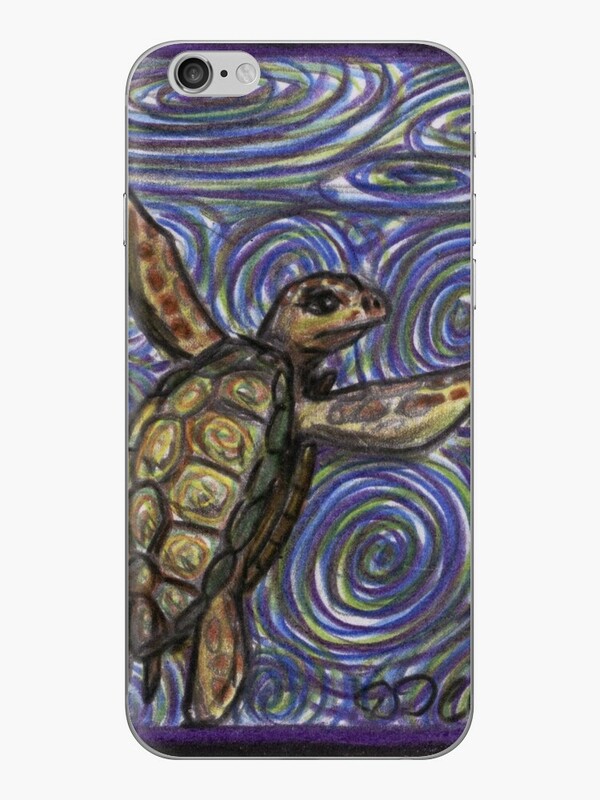 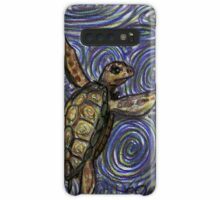 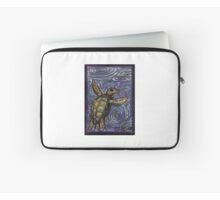 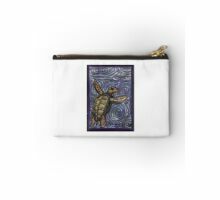 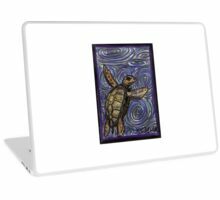 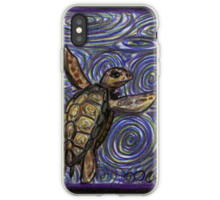 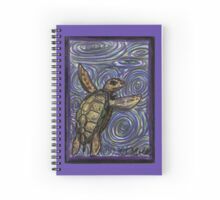 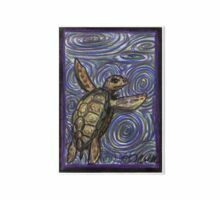 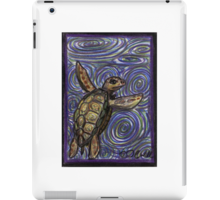 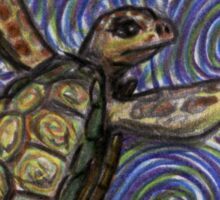 “Loggerhead Turtle and Swirls” – captures the delightful nature of this fascinating sea creature. 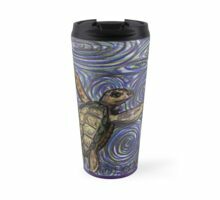 The loggerhead sea turtle is dark olive green and light brown, in sharp contrast to the artistic blue and green swirls that represent his underwater habitat. 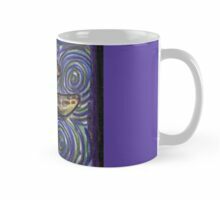 Purple and black borders frame the piece.